There are two main ways to correctly attach the breakaway cable. b) Attach the clip directly to the designated point - permitted by the trailer manufacturer. a) Fixed ball – loop the cable around the neck of the towball, use a single loop only. 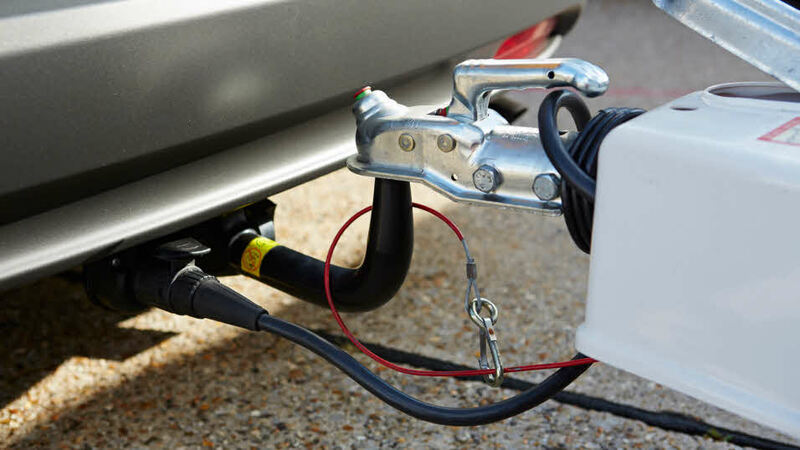 b) Detachable ball – we recommend you seek advice from the towbar manufacturer. However, you have attached your breakaway cable always make sure the cable runs as straight as possible and goes through a cable guide underneath the trailer coupling. This advice does not apply to unbraked trailers up to 750kg GVW which are required by law to have the use of a secondary coupling. A secondary coupling should keep the trailer attached to its towing vehicle even if its main coupling becomes separated. The guidance set out on this page is provided for general guidance purposes only, and does not purport to be legal advice or a definitive interpretation of the law.